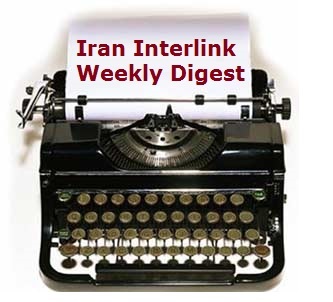 Gazeta Impakt, Tiran, Albania, November 07 2017:… Anne Singelton – Khodabandeh an ex-Iranian mojahedin gives the testimonies of three ex- mojahedins (Mojahedin Khalq: MEK, MKO, NCRI, Rajavi cult) members who have abandoned MKO in Albania. 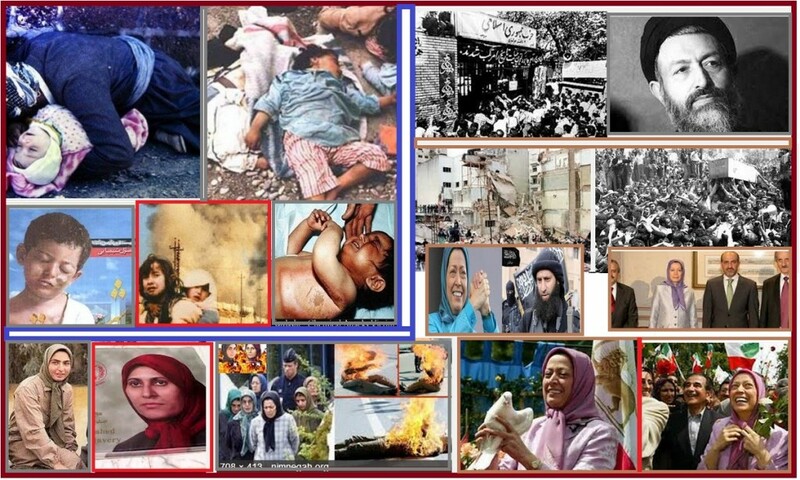 The mojahedin defectors show how they were recruited, brainwashed and kept in servitude by the Rajavi cult and how they gained their freedom from MEK. 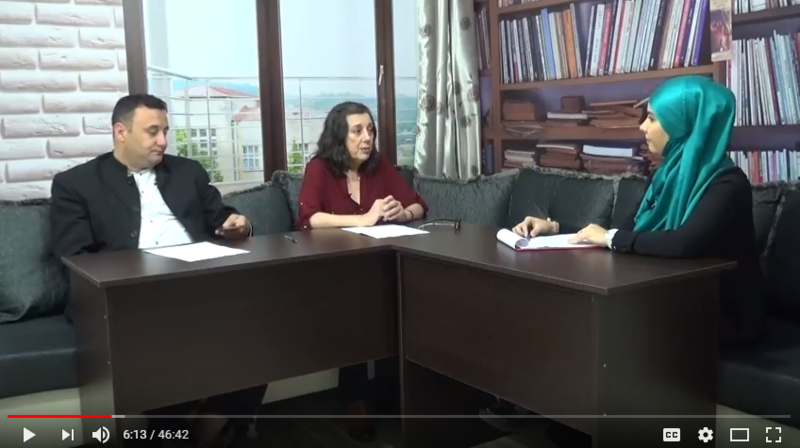 Anne Singelton – Khodabandeh an ex-Iranian mojahedin gives the testimonies of three ex- mojahedins (Mojahedin Khalq: MEK, MKO, NCRI, Rajavi cult) members who have abandoned MKO in Albania. 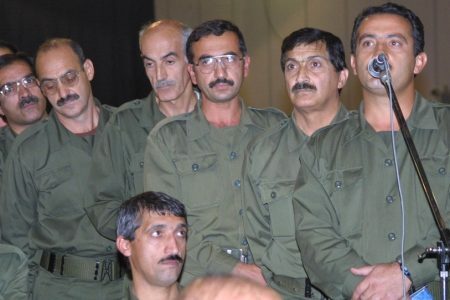 The mojahedin defectors show how they were recruited, brainwashed and kept in servitude by the Rajavi cult and how they gained their freedom from MEK. 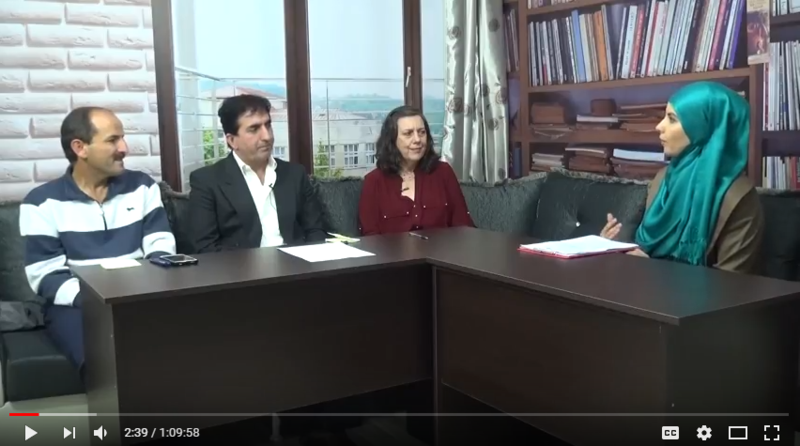 Anne Singelton – Khodabandeh an ex-Iranian mojahedin discusses with Dr. Olsi Jazexhi the presence of the Iranian mojahedin (Mojahedin Khalq: MEK, MKO, NCRI, Rajavi cult) organization in Albania. The discussion is around the MKO, Daesh, FETO and other terrorist organizations that have recruited fighters in the Balkans and have used countries like Albania as a base against Turkey, Iran, Iraq and Syria. They discuss the history of MKO, the process of radicalization, the use of terror as weapon of choice in the Middle East and the reasons why the American government uses terrorism and supports organizations like MKO for its geostrategical interests in the Middle East. They debate the use by MKO of terms like the National Council of Resistance of Iran, democratic opposition of Iran etc to depict itself as a democratic organization, while this organization breaks the laws of Albania and calls for a violent war against a foreign country. 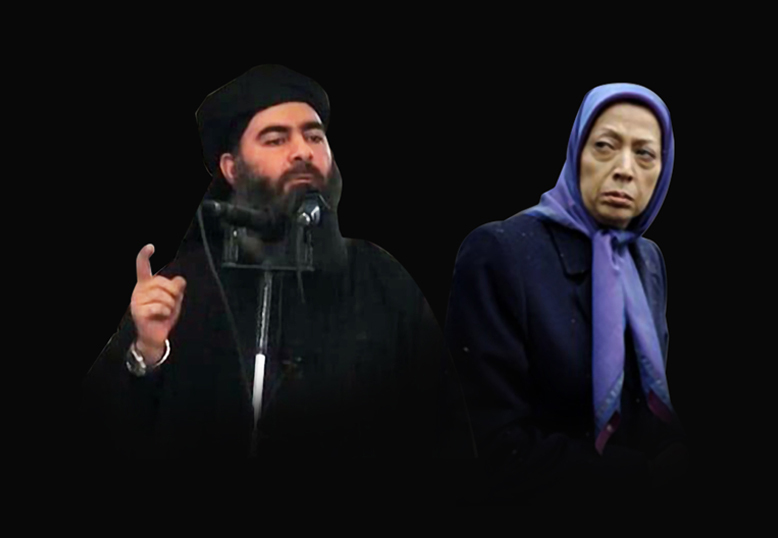 The analysts ask why the Albanian government jails and “deradicalises” Albanian Suni jihadis who want to join the jihad in Syria, but tolerates the Iranian jihadis to call for war against Iran from Albania? Anne Singelton – Khodabandeh nje ish-moxhahedine iraniane diskuton me Dr. Olsi Jazexhi prezencen e xhihadisteve iraniane ne Shqiperi. Diskutimi perqendrohet perreth MKO-se, Daesh-it apo ISIS-it, FETO-s dhe organizatave te tjera terroriste qe kane rekrutuar luftetare ne Ballkan dhe kane perdorur vende sikur Shqiperia si baze per te sulmuar vende sikur Turqia, Irani, Iraku dhe Siria. Diskutohet historia e MKO-se, procesi i radikalizimit, perdorimi i terrorizmit si arme gjeostrategjike ne Lindjen e Mesme, dhe arsyet pse administrata amerikane mbeshtet organizatat sikur MKO per qellimet e saj ne Lindjen e Mesme. 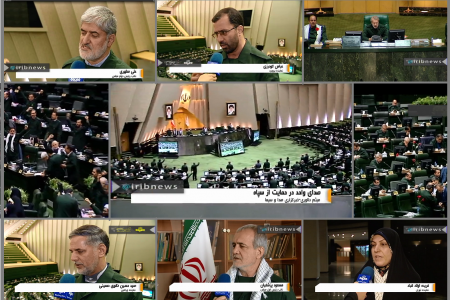 Debatohet perdorimi nga MKO i termave sikur the National Council of Resistance of Iran (Keshilli Kombetar i Rezistences ne Iran), opozita demokratike e Iranit etj per ta treguar kete organizate si demokratike, ne nje kohe qe kjo organizate thyen ligjet e Shqiperise dhe ben thirrje per xhihad kunder nje vendi te huaj. On October 9, 2017 an Albanian lawyer and a representative of some defectors from the Mojahedin Khalq organization (MEK) met with officials of the UNHCR in Tirana, Albania. The meeting had been requested on 27 September by the lawyer acting on behalf of two defectors from the MEK who want to know what their future relation with their UNHCR will be. 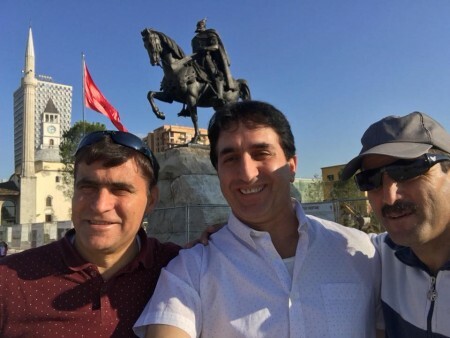 The lawyer and one MEK defector were received at the offices of the UNHCR in Tirana by H. Balla from the Office of Legal Protection, and H. Khan who is responsible for the MEK members in Albania. The lawyer acting on behalf of her clients demanded explanations from UNHCR officials regarding the status of her clients in Albania, their economic difficulties and their legal status. 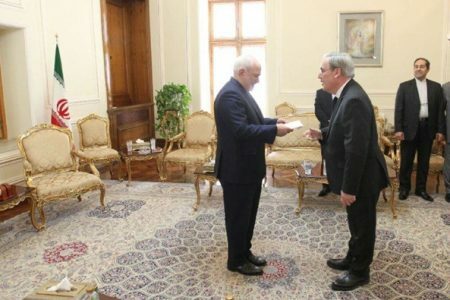 During the discussions H. Khan, who was responsible for the re-settlement of MEK members from Iraq in Albania, clarified a number of items for the lawyer. He explained that the UNHCR had helped the MEK to relocate to Albania to save them from the threats they were receiving in Iraq. The UNHCR had been paying MEK members in Iraq but now that they had settled in Albania they were no longer the responsibility of the UNHCR. 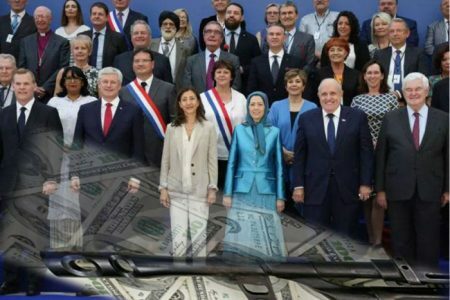 Contrary to the claims of MEK defectors that the UNHCR pays 500 EUROs monthly to MEK members, the UNHCR representative explained that the UNHCR no longer pays any money to the MEK for its members. He said that the MEK has its own budget. 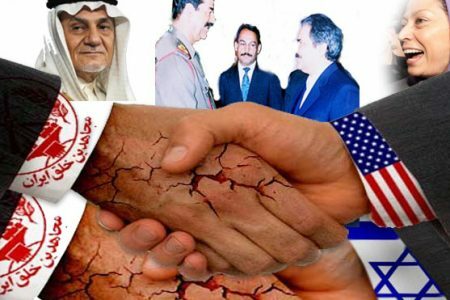 It has an agreement with the Albanian state and it is responsible for paying its members and defectors alike, since this was one of the points of the understanding that the MEK, the Americans and the Albanian state had agreed once they were transferred to Albania. The UNHCR for its part was trying to help MEK members to integrate into Albanian society by providing training for them and through an agreement that it had with an Albanian NGO, the Refugee and Migrant Services (RMSA), which was helping MEK members with their social needs. During the discussions, the MEK defector complained to the UNHCR about the way the MEK was blackmailing its members in Albania, enslaving them, using psychological threats and blackmail and threatening them with slander. 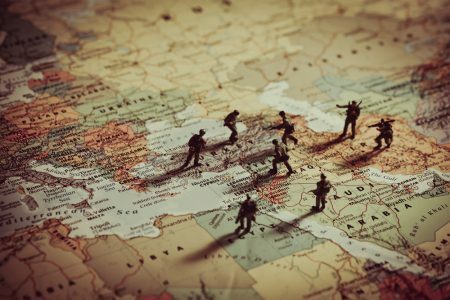 The defector described the spying network that the MEK has created against its own members who are deserting the organization en-mass. 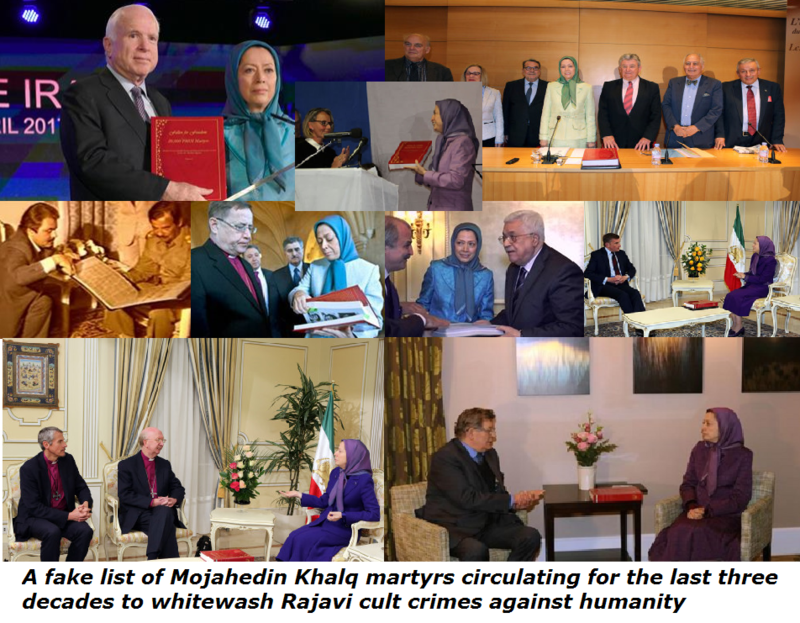 He complained that the MEK was keeping its members totally isolated, prohibiting them from talking to their families in Iran and throughout the world, and if one member is caught talking to his family or to another defector he is immediately expelled from the organization and is accused of being an agent of Iran. 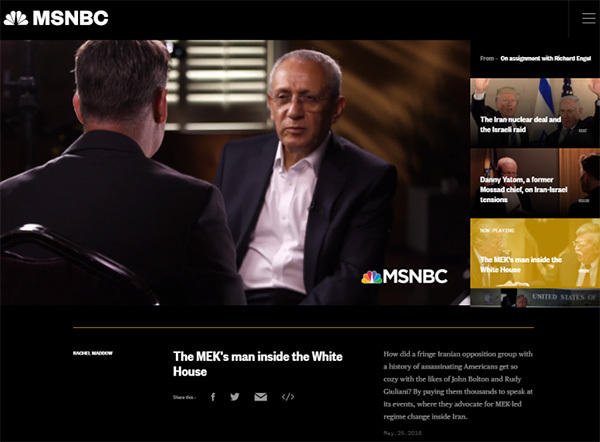 The defector revealed how the MEK had enslaved many of its members for the past 30 years, and now that they were living in a democratic country like Albania, this organization was still blackmailing them, keeping them isolated and not allowing them to enjoy the freedoms of democracy and civic life. 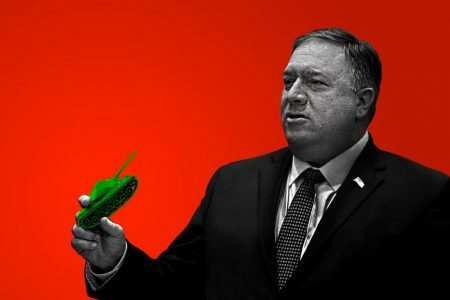 The lawyer told the UNHCR officials that these claims have been presented to her by many other defectors who live in a state of fear and intimidation from this organization, which claims that it will bring democracy to Iran. She asked the UNHCR representatives if they were aware that the MEK was intimidating and threatening even the families of MEK members who have come to Albania to meet their loved ones. She disclosed to UNHCR representatives that in a number of cases, family members of MEK members had been detained and threatened even by the Albanian police whenever they had come to Albania and tried to contact their relatives. The lawyer asked how can this organization speak of democracy when it treats its members in such an inhumane way, which is a criminal offense according to Albanian laws? She asked the UNHCR about its stance towards these criminal allegations that defectors are making against this totalitarian organization which claims to fight for democracy and human rights? How could the UNHCR work with and support such a totalitarian and enslaving organization? They asked UNHCR staff if they were aware that this organization is acting against human rights conventions and the Universal Declaration of Human Rights that Albania has signed, and was denying its members freedom of thought, freedom to create a family, freedom of movement, freedom of association and was treating many of its members as slaves. 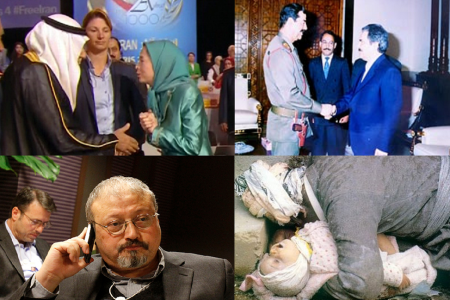 Furthermore, the lawyer asked why the UNHCR does not support the MEK defectors, who after leaving the organization end up in the street and without any support? By not supporting these people who want to enjoy their personal freedoms that democracy guarantees, the UNHCR was not helping these people who deserve to live in freedom in a democracy. 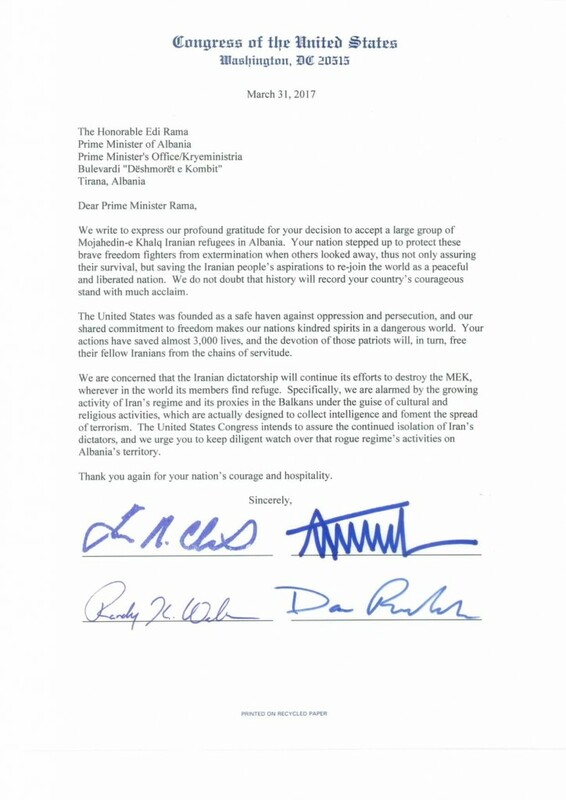 The UNHCR representatives responded that the behavior of the MEK towards its members has to be judged by the Albanian government and within the framework of the agreement it has with the MEK. The lawyer pointed out that this agreement has not been made public or submitted to scrutiny and so nobody knows what has actually been agreed. What was clear is that as the situation stands at present this agreement is in contravention of UNHCR rules and human rights legislation because clearly neither the MEK members nor the defectors and nor their families are not being accorded their proper civil or human rights. When the lawyer asked about their legal status and what the UNHCR is contributing towards this issue – since many of them have no work permits and their legal status is described as humanitarian refugees – the UNHCR responded that they are working with the Albanian government to clarify their status. They suggested that the lawyer acting on their behalf must contact the Interior Ministry of Albania since this body is responsible for their residence in the country. The lawyer asked the UNHCR representatives whether they do pay some MEK members. The UNHCR representatives said that yes, they do pay some members, on a case by case basis, but not everyone. They were paying the accommodation of M. A. a defector who was in a desperate situation. 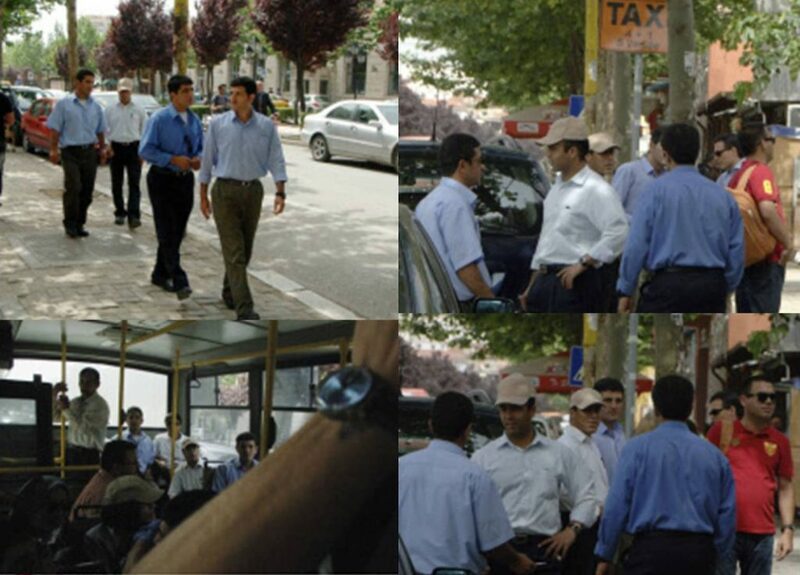 The MEK defector who was in the meeting said that the help M. A. was receiving was minimal. He was able only to buy just few kilograms of oil, flour and sugar to eat for a whole month. 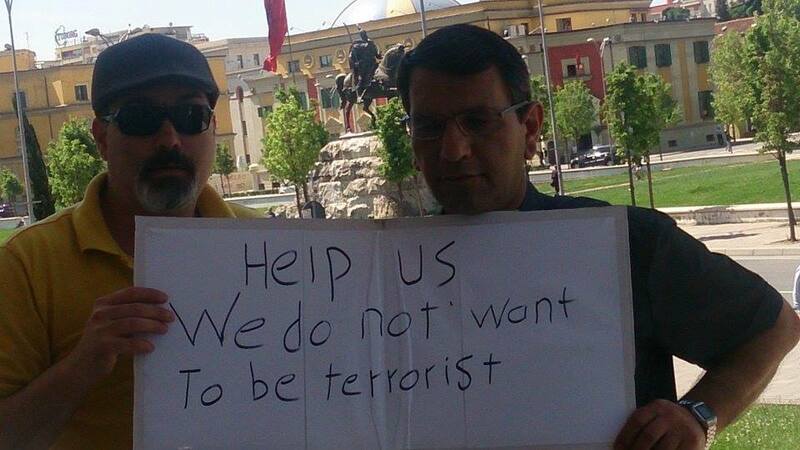 The legal representative of the UNHCR admitted that support for the MEK members in Albania was a big problem. He said that even the Albanian government will not support the refugees for more than six months. The government gives them accommodation, food and after six months they are on their own. But the difficult case of MEK members was exacerbated since they were taken to Albania on a humanitarian basis and not as asylum seekers. They have no work permits and cannot integrate into the society. 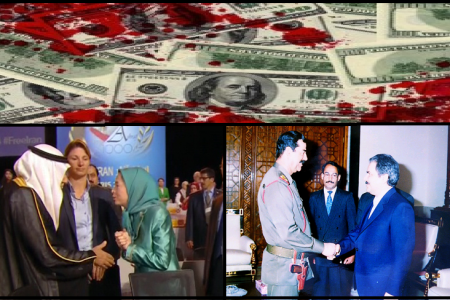 The defector claimed that the UNHCR had in the past paid MEK members 500 EUROs per month in their accounts. However, H. Khan explained that this was no longer the case. The UNHCR had given financial support to MEK members in 2016 but now it has run out of money. 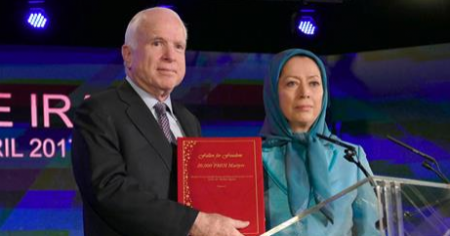 He said that the support of MEK members and defectors was the duty of the MEK which brought them into the country and the Albanian government who agreed to host the Mojahedin. The defector said that the Albanian office of asylum had told MEK members that in 2018 some humanitarian organization might take over the financial care of MEK members in Albania. But the situation of the defectors remains unclear and this means that many MEK defectors will continue to suffer and struggle for their economic survival in Albania. 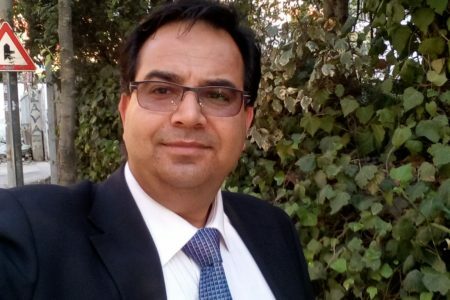 The defector explained that many families of MEK members want to contact their loved ones in the MEK so that they can provide them with support and assistance. But the MEK’s refusal to allow this contact and the Albanian government’s compliance with this ban means they are forced to remain with the MEK or become destitute. This was not an acceptable situation when many people could be helped by their own families and not depend on handouts from any organization. The conclusion of this meeting was that many MEK members who want to defect from this ex-terrorist organization, who do not want to be considered as combatants and want instead to live in freedom and liberty have no option but to stay with the organization. 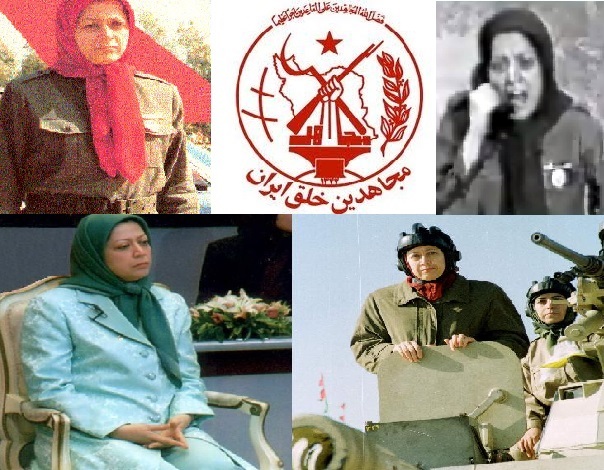 If they choose to leave the MEK and enjoy the freedoms and democracy of Albania, to marry, have children and create families like all other free human beings, they will suffer economic hardship and blackmail from the MEK whose spies monitor and intimidate the defectors. 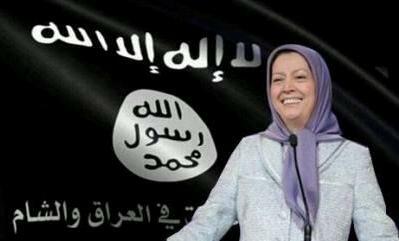 They will be accused by the MEK of being Iran’s agents and no one will help them. They do not speak Albanian, have no skills, the vast majority has no work permits and cannot find jobs in impoverished Albania. They have no passports and no possibility to settle in other richer countries in Europe. The only option that many MEK members have is to stick it out with the MEK in its camps in Albania. They must live an isolated life in which they are also thereby forced to agree to call for waging a terrorist war against Iran. At the end of the meeting the UNHCR advised the lawyer and her clients to contact the Albanian office for asylum to clarify their status and situation. 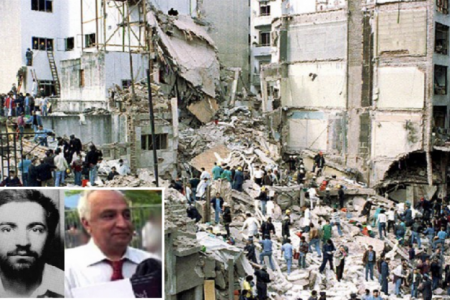 It was also suggested that the MEK should be taken to court and asked to pay for the defectors since the MEK had undertaken responsibility for their financial support after their transfer to Albania. Në datën 9 tetor 2017 një avokate shqiptare dhe një përfaqësues i disa të larguarve nga organizata Mojahedin Khalq (MEK) u takuan me zyrtarë të UNHCR-së në Tiranë, Shqipëri. Takimi ishte kërkuar më 27 shtator nga avokatja që vepron në emër të dy ish pjesëtarëve të larguar nga MEK, të cilët dëshirojnë të dinë se cila do të jetë marrëdhënia e tyre e ardhshme me UNHCR. Avokatja dhe një i larguar nga MEK u pritën në zyrat e UNHCR-së në Tiranë nga H. Balla e zyrës së mbrojtjes ligjore dhe H. Khan i cili është përgjegjës për anëtarët e MEK-ut në Shqipëri. Avokatja që vepronte në emër të klientëve kërkoi shpjegime nga zyrtarët e UNHCR lidhur me statusin e klientëve të tij në Shqipëri, vështirësitë e tyre ekonomike dhe statusin e tyre ligjor. Gjatë diskutimeve, H. Khan, i cili ishte përgjegjës për rivendosjen e anëtarëve të MEK-ut nga Iraku në Shqipëri, sqaroi një numër çështjesh për avokaten. Ai shpjegoi se UNHCR-ja kishte ndihmuar MEK që të zhvendoset në Shqipëri për ti shpëtuar nga kërcënimet që ata po merrnin në Irak. 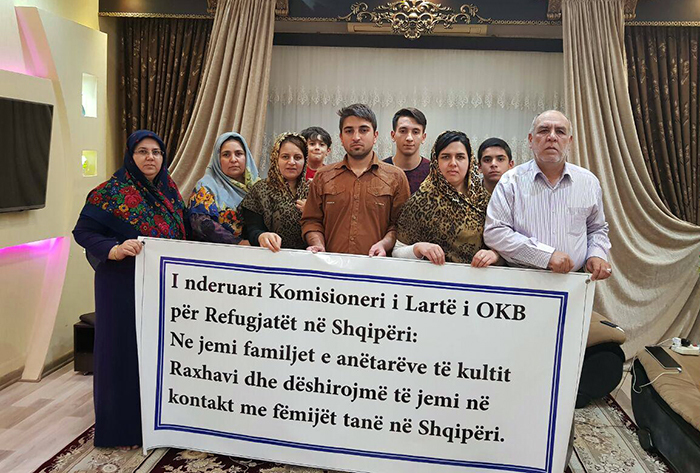 UNHCR kishte paguar anëtarët e MEK-ut në Irak, por tani që ata ishin vendosur në Shqipëri nuk ishin më përgjegjësi e UNHCR-së. 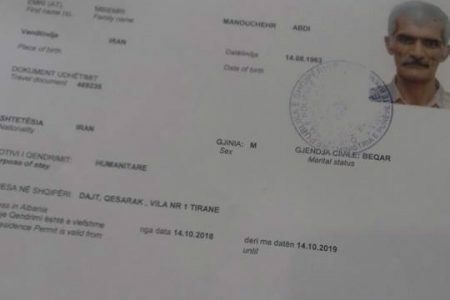 Në kundërshtim me pretendimet e MEK-ut se UNHCR paguan 500 EURO çdo muaj për anëtarët e MEK-ut, përfaqësuesi i UNHCR-it shpjegoi se UNHCR-ja nuk i paguan më para MEK-ut për anëtarët e saj. Ai tha se MEK ka buxhetin e vet. Mek ka një marrëveshje me shtetin shqiptar dhe është përgjegjës për pagimin e anëtarëve dhe të larguarve, pasi kjo ishte një nga pikat e mirëkuptimit që MEK, amerikanët dhe shteti shqiptar kishin rënë dakord pasi që ata të transferoheshin në Shqipëri. UNHCR-ja nga ana e saj po përpiqej të ndihmonte anëtarët e MEK-ut që ti integrojë në shoqërinë shqiptare duke u ofruar trajnime atyre sipas një marrëveshje që kishte me një OJQ shqiptare, Shërbimin për Refugjatët dhe Migrantët (RMSA), e cili po ndihmon anëtarët e MEK-ut në bazë të nevojave sociale. Gjatë diskutimeve, dezertori i MEK-ut iu ankua UNHCR-së për mënyrën se si MEK i shantazhon anëtarët e saj në Shqipëri, duke i skllavëruar ata, duke përdorur kërcënime psikologjike dhe shantazhe dhe duke i kërcënuar me shpifje. I larguari e përshkroi rrjetin e spiunimit që MEK kishte ngritur kundër anëtarëve të vet, të cilët po e braktisin organizatën në masë të madhe. Ai u ankua se MEK i mban anëtarët plotësisht të izoluar, duke i ndaluar ata të bisedonin me familjet e tyre në Iran dhe në të gjithë botën. Nëse një anëtar do kapej duke folur me familjen e tij ose me një tjetër person të larguar, ai menjëherë dëbohet nga organizata dhe akuzohet sikur është një agjent i Iranit. I larguari tregoi se si MEK kishte skllavëruar shumë nga anëtarët e tij për 30 vitet e fundit dhe tani që ata jetonin në një vend demokratik si Shqipëria, kjo organizatë ende i shantazhonte ata, duke i mbajtur ata të izoluar dhe duke mos i lejuar ata të gëzonin liritë e demokracisë dhe jetën qytetare. Avokatja u tha zyrtarëve të UNHCR-së se këto pretendime i janë paraqitur asaj edhe nga shumë dezertorë të tjerë që jetojnë në një gjendje frike dhe kërcënimi nga kjo organizatë, e cila pretendon se do të sjellë demokracinë në Iran. Avokatja kërkoi nga përfaqësuesit e UNHCR-së të ishin të vetëdijshëm se MEK-u po i frikësonte dhe kërcënonte edhe familjet e anëtarëve të MEK-ut që kishin ardhur në Shqipëri për t’u takuar me të dashurit e tyre. Avokatja u tregoi përfaqësuesve të UNHCR-së se në një numër rastesh anëtarët e familjeve të anëtarëve të MEK-ut ishin mbajtur dhe kërcënuar edhe nga policia shqiptare sa herë që kishin ardhur në Shqipëri dhe përpiqeshin që të kontaktonin me të afërmit e tyre. Avokatja u tha atyre se si kjo organizatë mund të flasë për demokracinë kur në të njëjtën kohë i trajton anëtarët e saj në një mënyrë kaq jonjerëzore, që sipas ligjeve shqiptare është një vepër penale? Avokatja i kërkoi UNHCR-së qëndrimin e saj ndaj këtyre akuzave kriminale që po bëjnë të larguarit kundër kësaj organizate totalitare që pretendon të luftojë për demokracinë dhe të drejtat e njeriut? Si mund të punonte UNHCR-ja dhe të mbështeste një organizatë të tillë totalitare dhe skllavëruese? Ata pyetën stafin e UNHCR-së nëse ishin të vetëdijshëm se kjo organizatë po vepronte kundër konventave për të drejtat e njeriut dhe deklaratës universale të të drejtave të njeriut që Shqipëria ka nënshkruar dhe u mohon anëtarëve të saj lirinë e mendimit, lirinë për të krijuar një familje, lirinë e lëvizjes si dhe duke i trajtuar shumë nga anëtarët e saj si skllevër. Për më tepër, avokatja pyeti se përse UNHCR nuk i përkrah të larguarit e MEK-ut, të cilët pas largimit nga organizata përfundojnë në rrugë dhe pa asnjë mbështetje? Duke mos i mbështetur këta njerëz që duan të gëzojnë liritë e tyre personale që garanton demokracia, UNHCR nuk po i ndihmon këta njerëz që meritojnë të jetojnë në liri në një demokraci. Përfaqësuesit e UNHCR-së u përgjigjën se sjellja e MEK-ut ndaj anëtarëve të saj duhet të gjykohet nga qeveria shqiptare dhe në kuadër të marrëveshjes që ka me MEK. Avokatja vuri në dukje se kjo marrëveshje nuk është bërë publike dhe nuk është dorëzuar për shqyrtim dhe kështu askush nuk e di se çfarë është arritur në të vërtetë. Ajo që është e qartë aktualisht tregon se kjo marrëveshje është në kundërshtim me rregullat e UNHCR-së dhe legjislacionin për të drejtat e njeriut, sepse në mënyrë të qartë as anëtarëve e MEK, as dezertorëve dhe as familjeve të tyre nuk u janë dhënë të drejtat e tyre civile, të drejtat e njeriut. Kur avokatja pyeti për statusin e tyre ligjor dhe atë se si UNHCR po kontribuon për këtë çështje – pasi që shumë prej tyre nuk kanë leje pune dhe statusi i tyre ligjor përshkruhet si refugjatë humanitarë – UNHCR u përgjigj se po punojnë me qeverinë shqiptare për të sqaruar statusin. Ata sugjeruan që avokati që vepron në emër të tyre duhet të kontaktojë Ministrinë e Brendshme të Shqipërisë, pasi ky organ është përgjegjës për qëndrimin e tyre në vend. Avokatja pyeti përfaqësuesit e UNHCR nëse ata ndihmonin financiarisht anëtarë e MEK-ut. Përfaqësuesit e UNHCR-së thanë se po, ata paguajnë disa anëtarë, rast pas rasti, por jo të gjithë. Ata po paguanin strehimin e M. A. një dezertori që ishte në një gjendje të dëshpëruar. Dezertori i MEK i cili ishte në takim tha se ndihma që kishte marrë M. A ishte minimale. Ai ishte në gjendje të blinte me ndihmën vetëm pak kilogramë miell, vaj dhe sheqer për të ngrënë për një muaj të tërë. Përfaqësuesi ligjor i UNHCR-së pranoi se mbështetja për anëtarët e MEK në Shqipëri ishte një problem i madh. Ai tha se edhe qeveria shqiptare nuk do të mbështesë refugjatët për më shumë se gjashtë muaj. Qeveria u jep atyre strehim, ushqim dhe pas gjashtë muajve ata do duhet ti sigurojnë vetë. Por rasti i vështirë i anëtarëve të MEK u përkeqësua që kur ata u dërguan në Shqipëri në baza humanitare dhe jo si azilkërkues. Ata nuk kanë leje pune dhe nuk mund të integrohen në shoqëri. Dezertori pretendoi se UNHCR-ja në të kaluarën i kishte paguar anëtarët e MEK me nga 500 euro në muaj, të derdhura në llogaritë e tyre. Megjithatë, H. Khan shpjegoi se kjo gjë kishte ndryshuar dhe nuk ishte më kështu. UNHCR-ja kishte dhënë mbështetje financiare për anëtarët e MEK-ut në vitin 2016, por tani ajo ka mbetur pa para. Ai tha se mbështetja e anëtarëve dhe dezertorëve të MEK ishte detyrë e MEK-ut që i solli në këtë vend dhe e qeverisë shqiptare që ra dakord ti strehonte Muxhahedinët. Dezertori tha se zyra shqiptare e azilit i kishte thënë anëtarëve të MEK-ut se në vitin 2018, një organizatë humanitare mund të merrte përsipër kujdesin financiar të anëtarëve të MEK në Shqipëri. Por situata e të larguarve mbetet e paqartë dhe kjo do të thotë se shumë prej tyre do të vazhdojnë të vuajnë dhe do të luftojnë për mbijetesën e tyre ekonomike në Shqipëri. Dezertori i MEK shpjegoi se shumë familje të anëtarëve të MEK-ut dëshirojnë të kontaktojnë me të afërmit e tyre në MEK, në mënyrë që ata të mund t’u sigurojnë atyre mbështetje dhe ndihmë. Por refuzimi i MEK-ut për të lejuar këtë kontakt dhe dakortësia e qeverisë shqiptare me këtë ndalim nënkupton se ata janë të detyruar të qëndrojnë me MEK-un ose të bëhen të varfër. Kjo nuk ështe një situatë e pranueshme kur shumë njerëz mund të ndihmoheshin nga familjet e tyre dhe nuk do të vareshin nga lëmoshet e ndonjë organizate. Përfundimi i këtij takimi ishte se shumë anëtarë të MEK që duan të dezertojnë nga kjo ish organizatë terroriste, të cilët nuk duan të konsiderohen si luftëtarë dhe që duan të jetojnë në liri, nuk kanë asnjë mundësi, por vetëm të qëndrojnë në organizatë. Nëse ata vendosin të largohen nga MEK dhe të gëzojnë liritë dhe demokracinë e Shqipërisë, të martohen, të kenë fëmijë dhe të krijojnë familje si të gjithë njerëzit e tjerë të lirë, ata do të pësojnë vështirësi ekonomike dhe shantazhe nga MEK, spiunët e së cilës mbikqyrin dhe i kërcënojnë dezertorët. 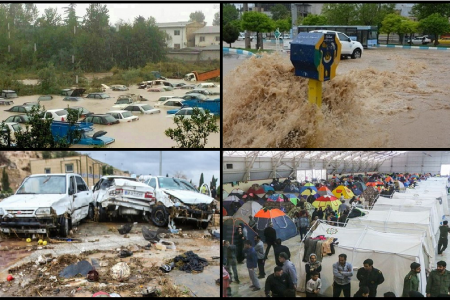 Ata do të akuzohen nga MEK sikur janë agjentë të Iranit dhe askush nuk do t’i ndihmojë. Ata nuk flasin shqip, nuk kanë aftësi te vecanta, shumica dërrmuese nuk ka leje pune dhe nuk mund të gjejnë punë në Shqipërinë e varfër. Ata nuk kanë pasaporta dhe nuk kanë mundësi të vendosen në vende të tjera të pasura në Evropë. E vetmja mundësi që kanë shumë nga anëtarët e MEK është që të qëndrojë me MEK-un në kampet e saj në Shqipëri. Ata do duhet të jetojnë një jetë të izoluar në të cilën ata po ashtu do jenë të detyruar ti pergjigjen thirrjes ne rast se behet thirrje për të kryer një luftë terroriste kundër Iranit.